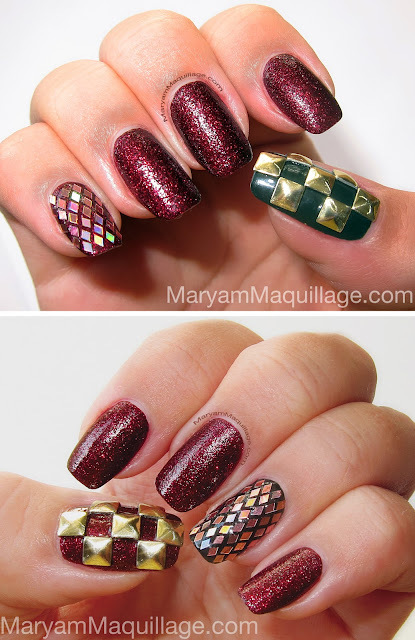 This eclectic nail art features a mix of finishes over a wine colored crystal sand nail polish. The crystal sand line is one of my favorites from the BPS -- the micro glitter and sand texture are festive and add a perfect accent for the holidays! The line is available in 20+ shimmery shades. "Wining Down" at NJ's largest vineyard for my birthday! Cheers & on to the Giveaway!!! This giveaway is open internationally. If you are under 18, please get a parent's permission. You MUST PUBLICLY follow this blog via GFC (Google Friend Connect on the sidebar) giving you 1 entry. 19 Additional Entries are possible for a total of 20 entries per participant. This giveaway ends at 12:01 AM (EST) on 10/28/2012. The winner will be chosen at random, announced and contacted, after which he/she will have 24 hours to respond with shipping address and prize choice, otherwise a new winner will be chosen again at random. The winner will choose the prize from BornPrettyStore.com (products totaling $20). Prize cannot be combined with coupon code. This is a 3-Day Giveaway, so act fast!! Happy Belated Babe!!!!! Love the nails!!!! Hey great giveaway :) I would love either nail art or maybe an eyeshadow palette with lots of shades. Cool giveaway. Loving the nail art, into shadows and brushes are always great too! Thanks for doing a giveaway even though it is you who should be spoiled. Happy belated bday girl love the makeup looks and nails you do! aww you're so sweet :)) thanks babe!! I want to try some stamping products for nails! I love wineries! I still have Napa Valley on my bucket list. Birthday Wishes! Hey!!! thanks for having this give away! I LOVE nail art!! BK Crystal Sand Shimmer Polish in #18 Dark Red LOVE IT!! Happy happy birthday honey hope you had a wonderful one pick me pick me!!! Happy Birthday!! Thanks for this great giveaway! I'm interested in their nail stamping items. Omg the effect looks genius, I must try this and give you the credits. <3 I LOVE IT!! Happy Belated Birthday and love love the birthday nails! Thanks for the giveaway! 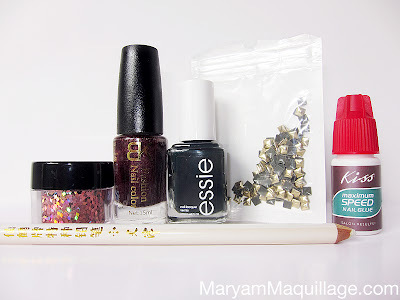 I'm definitely looking forward to nail art design products! I'm excited about the cosmetic make up! OMG I LOVE THOSE DIAMOND SHAPED CRYSTALS!!! They look like stained glass, so neat!